The external monitor I would like to run with this is of the 16:10 picture ratio and I like to run it at 1920x1200. 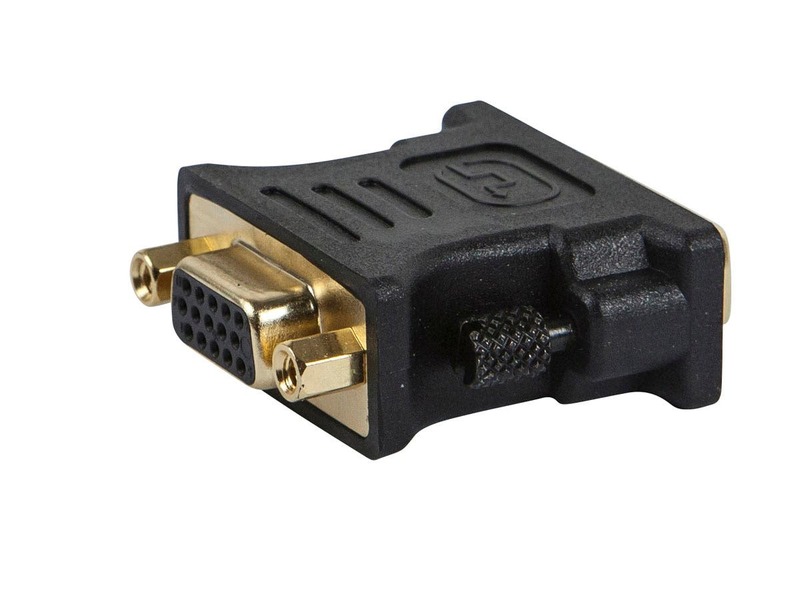 Is this adapter capable or running at that resolution (I noted 1920x1080 mentioned which is the "equivalent" in 16:9)? Can the live feed from a GigE camera be put into this device to provide two simultaneous live outputs? BEST ANSWER: This has 2 display outputs - HDMI and DVI. The USB is connected to your computer. Both the HDMI and DVI can output the same picture in Mirror or Duplicate mode. Works just fine up to 1920 x 1080 on both monitors. Just make sure your CPU is strong enough. I have a ROKU box and earlier generation pre-pro for my sound system. The ROKU box downgrades the image to 1080p through this pre-pro, so to get a 4K picture, I must connect the one HDMI output on the ROKU to my TV, thus bypassing the sound system. Would this unit allow me to connect my pre-pro from the USB port on my ROKU, by adapting it to HDMI? BEST ANSWER: No. The USB port on the Roku will not support the DisplayLink connection needed for this adapter. I know it says it is only compatible with windows but has any one tried this on MAC OS? Does the HDMI port have audio also? I am using this for a the laptops at my workplace so we can use a third monitor. This works GREAT! I needed to extend my laptop screen to two monitors and this was a great choice. I didn't bother using the install disk that came with it, based on the review by Quantum, I just downloaded the drivers from the displaylink website. I made sure i had a USB 3.0 port and am getting 1080p resolution. I get no flickering and it's working 100% as advertised. Handy device to keep in my "bag of tricks"
One of my laptops has few ports and this device will allow me to use Ethernet to connect instead of wireless and to attach an additional monitor via HDMI. 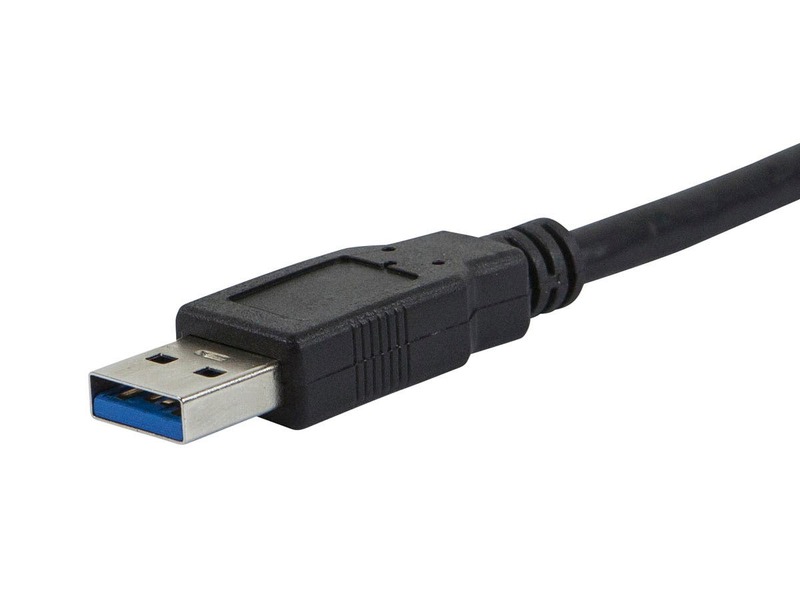 I use it about once a week and this purchase allowed me to use USB 3.0 instead of my previous USB 2.0 adapter. Running multiple monitors off windows 10 dell laptop. i5 processor. Using usb 3.0 port. It is adequate for my needs. Running a 19" vizio 1080 via hdmi. Lenovo 22" via DVI to VGA connection. I would agree the cable could be a little longer, but it works fine. This DisplayLink device works fine as expected. I drove 2 displays simultaneous with a Core i5 Kabylake and streamed (using its Ethernet connect) a 1080p60 YouTube video and had about 60% CPU utilization. great display, works perfect for my 2 additional monitors. I'll have a couple of issues each week where both of the connected displays go blank, but they always come back. Great unit! Plug and play! I've got a 3 year old HP laptop with Win 8.1, an AMD A8 processor, NO USB 3.0 ports and a single HDMI output for an external monitor. Nothing special. A while back I hooked up a 2nd monitor through a USB port to DVI adapter (not an MP device but does use Display Link software inside of it) and it worked well. I checked out solutions on how I could add a 3rd and 4th monitor to my laptop and the p.c. retail gurus in Denver had me convinced I'd need to get a new p.c. with a beefy video card with 4 outputs. 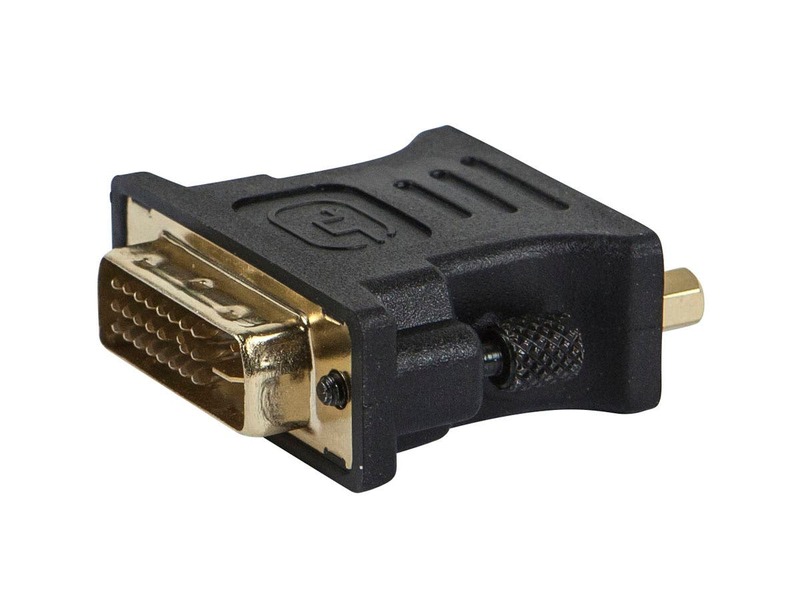 I researched other USB 2.0/3.0 adapters to convert to DVI (which I could then convert to HDMI or VGA) but it appeared as though there'd be issues if all of these external monitors were not using the same brand or manufacturer of adapters and whatever software resided within each adapter. And that solution was 1 adapter per monitor which at $40 to $50 it was going to get expensive. And may not work. Once I found out that this MP device supports (2) monitors, was less than $40 (and I got it for 20% off during a site wide discount deal) and had the Display Link software that is in my other adapter I thought I'd give it a chance. Works like a charm! Now in all fairness, I'm not a gamer. This is my work machine and I need to have 3 applications open all day long. But no video or streaming music...basic business stuff and it works great. I could not be happier and the install was literally a few minutes of me watching it load, talk to each other and voila! Monitors started lighting up as the smile came across my face. Came with a DVI to VGA adapter and one other that I can't recall but it wasn't listed in the description but it came with it. This is nice bang for the buck way to hang (2) more monitors off of a USB 2.0 port (or 3.0 if you've got one and I"d assume it would even perform better(, it's USB powered....no transformer.....well done MP. No issues for me as the 3rd and 4th monitors lagging as they refresh, change screens but I'm not concerned with lighting fast speed. Also comes with a 30 day trial of "Multiple Monitors" software which gives some really nice functionality for cheap, which I plan on buying here in about 20 days. Best money I've spent with Monoprice to date. So this device has worked pretty well for me, three days in. 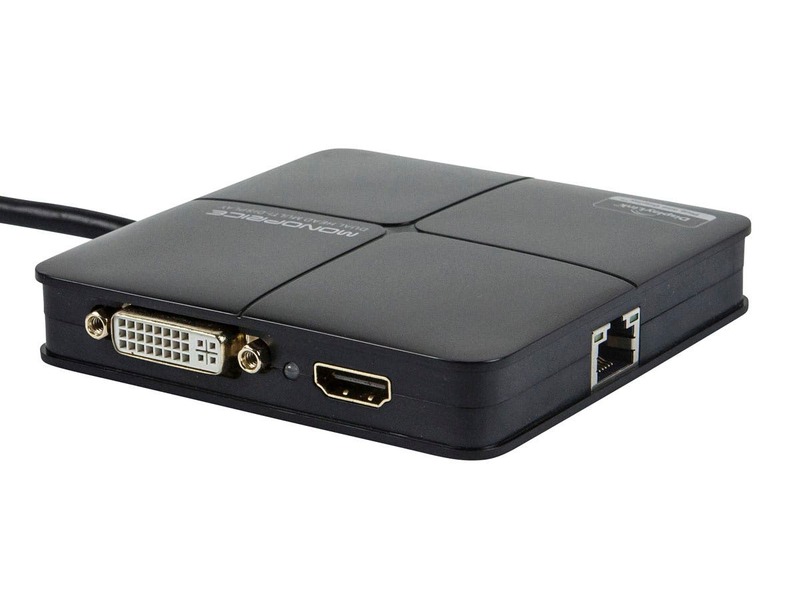 Have tried both digital signal from HDMI and DVI with no issues and am currently hooked up using the DVI-A to VGA adapter that was included with fine results on an old 4:3 Samsung monitor. Trying to use up old junk around our shop as I hate tossing perfectly good monitors just because we all decided to change to 16:9. Ethernet port works as expected. Just adds another adapter. BIG NOTE: The install disk does not work with Windows 10!!! It will prompt you saying the software could not be installed. Have no fear. Go to the Display Link website (http://www.displaylink.com/downloads/windows) and download the newest software and it should start working as soon as the software is installed. 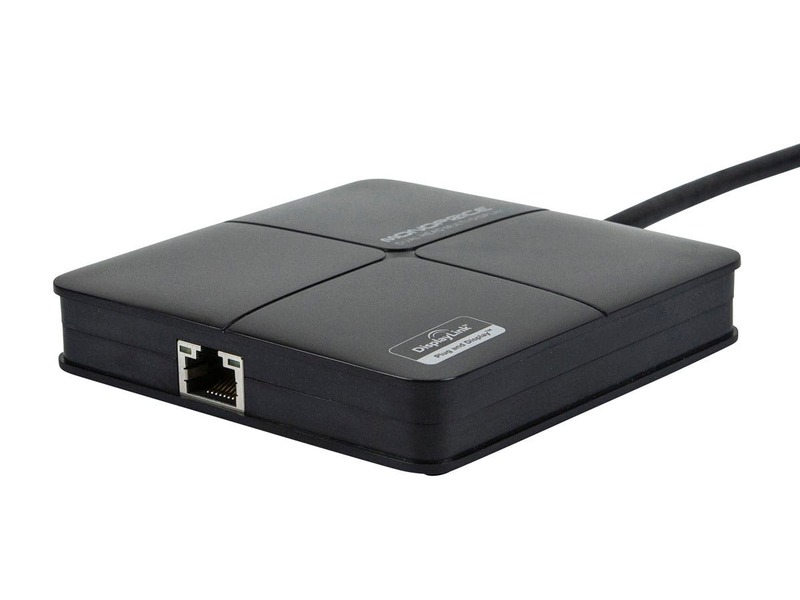 This is just an adapter using DisplayLink software, so reference the DisplayLink website for any relevant firmware or software updates you may need. The CD included is just out of date. Other than that, handy tool for the price, 3 different adapters in one. Just wish the USB cord was a little longer. Ideally, it would be a USB port built in that you plugged in to, but oh well. PROS: 3 adapters in one! Install disk does not have Windows 10 drivers, but hey, the online documentation never stated it would. I previously had been using a startech adapter that was limited to a much lower resolution output display that never chased the display. After waiting for a price to drop on the higher resolution outputs coupled with getting tired of dealing with the difference in resolution across my 3 monitors I finally decided to upgrade. Its great having 1920x1080 across all three monitors, although typically every morning while booting or waking up my PC my 3rd screen output produced by this adapter freezes and I have to unplug/replug the adapter 2-3 times before it is stable. Afterwards though it typically works as prescribed. CONS: crashes the display multiple times when booting/rebooting my pc.